Easy ways to stay positive. I applied for A LOT of jobs when I was looking for my first “real job” out of grad school. About 75 to be exact. And I got about 70 rejections. Rejection is difficult enough. But multiple rejections makes it nearly impossible to keep a positive attitude. Especially when you’re young and you’ve never experienced job rejection before. I knew I had to find a way to not let it get me down, or else I’d develop a negative attitude that would be evident in my interviews. 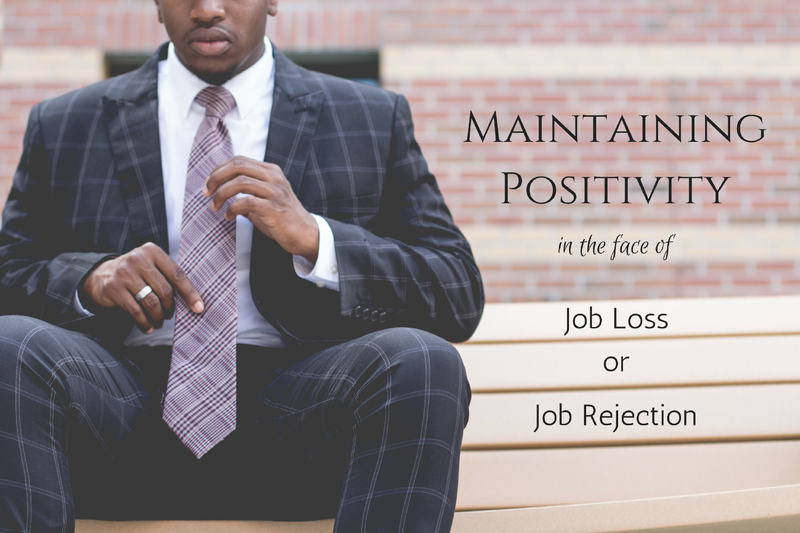 Going into a job interview with a negative attitude was sure to guarantee further rejection. I had to break the cycle before it started. I finally did get a job offer. It was working in two of the three focus areas I was interested in within my industry. The following year, I was promoted and got to work in my third (and favorite) area, career development. The interesting thing about that job was, I originally applied for a director position but knew I wasn’t experienced enough since I was just coming out of grad school. I decided to apply any way, just to see what would happen. While I got rejected for the director position (for obvious reasons — lack of experience), they called me and said the assistant director position was also open and asked if I would be interested in interviewing for it. I was, I did, and I was hired. A year later I became a director. This goes to show that sometimes you can apply for jobs you’re not fully qualified for because you never know what can happen! My mantras made a huge difference not only in my level of positivity, but also in my confidence. They worked so well, I’ve used them in other areas of my life and career. I repeat them when I don’t land I client I want to sign, or when a relationship doesn’t work out like I want it to. I never knew at the time just how powerful this positive mindset would be throughout my career. I’ve always worked as a career adviser in various capacities. Often I have to encourage my clients who’ve been laid off from their jobs or who are experiencing rejection in their job search. I share with them the same mantras that helped me. Also I remind them that, while they’ve lost their job, they haven’t lost their ability to work. One client in particular was feeling very angry about being laid off. But after sulking for a few days, she decided to change her view of her situation. She decided instead of calling herself “unemployed” she’d call herself “FUNemployed!” I loved this and encouraged her to embrace that attitude. Periods of unemployment can provide you the time to get some much-needed rest, spend more time with your family, improve your health, be creative with your time, and explore your passions. Consider it a gift, and take advantage of it while you can. There will always be more work to do. For more advice and encouragement, check out my on-demand program 5 Ways to Pursue Your Passions in Life & Work: How to Overcome Obstacles + Achieve Job Search Success. Lori Bumgarner is the owner of paNASH, a passion and career coaching service that helps you discover your passions and put them into action in your life and your work.